Flat Roofing Specialists for Domestic, Commercial & Government Clients Jones Brothers Roofing is a specialist flat roofing contractor based at Hayling Island near Portsmouth. They undertake all types of flat roofing work for domestic, commercial and government clients throughout Hampshire, West Sussex, Surrey and London. The company was established in 1971 and have built a reputation for the outstanding quality of their work, their exceptional customer service and the standard of advice and guidance given. Jones Brothers Roofing is committed to embracing safe working practices and the full ongoing training of all staff. They employ an external health and safety advisor to ensure the health and safety of all their employees and personnel whilst working on site. The Company undergoes an independent safety audit of all their working practices annually to ensure safety is never compromised. Jones Brothers Roofing are happy to supply no obligation quotations which are undertaken within 48 hours and are provided free of charge. All of the work is covered by full guarantees ranging up to 20 years, depending on the type of work. The workforce is all highly trained and skilled and backed by public liability insurance, we undertake work throughout Hampshire, along the coast to Chichester and up to Surrey. Jones Brothers Roofing believe that maintaining a high standard of work is essential. They are members of Hampshire County Council ‘Buy with Confidence’ scheme, members of Checkatrade since 2002, members of the Safe Contractors Scheme and the Mastic Asphalt Council. Clarke’s Roofing is a family run business covering Reading and all surrounding areas. We Carry out all types of Roofing work domestic and commercial. 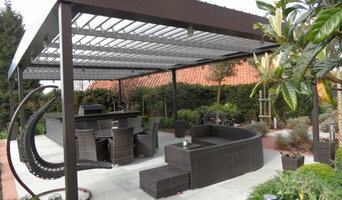 Commercial Roofing Over the years we have built up a large client base of builders and other tradesman. We have been the sole Roofing Contractor for a large National Loft Conversion Company, as well as working for developers, maintenance companies and many local builders and renovation specialists. Many of these relationships have been in place since we began (over 20 years ago!). Domestic Roofing As well as commercial work, we have always worked direct to the domestic market. Over the years we have gathered many letters of reference and recommendation. Recommendation generates more work than any other source, so it is always in our interest to ensure the customer is happy with our service and workmanship. Enterprise Roofing Ltd. are a family run business with over 30 years’ experience in all aspects of roofing. Taking pride in our work is first and foremost in each and every project. We realise having your roof replaced can be intrusive so we try and make our stay as smooth as possible, keeping both residential and commercial customers up to date with progress. Keeping the site safe and clean is a priority. We endeavour to keep to the work schedule set out and aim to achieve our targets, even with the British weather! Our operatives are all health and safety trained and we are CHAS Accredited (Construction Health and Safety) and supported with 10 to 25 year insurance backed guarantees plus £10 million Public and Employers insurance. We are approved contractors to University of Southampton and PFP. Roofing & Building Specialists TM Roofing & Building has been serving homeowners and businesses in Hampshire, Surrey and Berkshire for over 30 years. Roofing Excellence We specialise in clay plain tiling, concrete plain tiling, natural slating, lead roofs, lead flashings and torch on flat roofing. Building Perfection We deliver the highest standards of craftsmanship on every job, whether we’re building a new extension, refurbishing a roof or undertaking alterations or roof repairs. TM Roofing and Building is a family-run business and has been serving homeowners and businesses in Hampshire, Surrey, Berkshire and surrounding counties for over 30 years. Our customers can expect the highest standards of craftsmanship on every roofing and building project, whether we are building a new home extension, converting a loft or garage, refurbishing a roof or undertaking roof alterations or roof repairs. We offer a truly comprehensive service, helping our customers through every step of their roofing or building project, making the whole process seamless. To put it simply, we have all the tradesmen, knowledge and experience you will require under one roof - so from the initial concept, to design, plan submissions and on to realising your dream extension, conversion or new build project, TM Roofing and Building can do it all. This is an option, of course, but should you decide to use our 'Complete Project Service', then we will guide you through every stage, whilst providing expertise and advice from our team of qualified and highly experienced tradesmen along the way. Gilkicker Ltd. specialises in innovative roofing solutions. MC&R roof and property MC&R is a business based in the heart of Eastleigh servicing Eastleigh, Southampton an surrounding areas. We specialise in new roofs, roof repairs, flat roofing, pointing and rebuilding of chimney stacks, and Velux window installation. In fact we cover all types of roofing work imaginable. Roofs are generally hard wearing and low maintenance. However, roofs do fail and if not fixed promptly the failure can lead to costly work replacing underlying timbers, plaster ceilings and decorative finishes. We also provide an emergency call out service, so whether it's a leak, broken tile, or missing slate, just give us a call. We're very proud of the work we do, and are equally proud of the way we do it. Our service is so good our customers stay loyal and recommend us to others. All of our roofers are fully insured and qualified. Please contact us for a free quotation and advice on any roofing issue and we will be more than happy to help. Our roofing services include All aspects of pitched tile roofs from a slipped tile to a total re roof. Flat foor repair to total over haul. Chimany repiont and re builds. Gutter cleans, installation and repairs. Property damp sealing, for those anoying damp patches that get bigger every winter. Please contact us for a free quotation and advice on any roofing issue and we will be more than happy to help. If you choose Fix N Fit, you can be assured you are choosing a roofing company which believes in and practices high standards of workmanship, as evidenced by our registration with the Confederation of Roofing Contractors. Being a member of the CORC and also being CHAS Approved, you can be confident that our service and materials are of the highest quality, all while keeping prices fair. Every member of our experienced roofing team is properly accredited, and as a result all carry a Construction Skills Certification Scheme (CSCS) card to indicate this. We can also offer a fully insurance backed 15 Year Guarantee on every re-roof for added peace of mind. 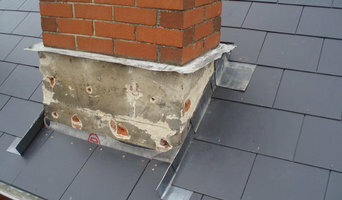 BSURE ROOFING south coast roofing company offering roofing repairs in Portsmouth and surrounding areas. G&A Roofing Building Services was founded over 25 years ago and in 2005 G&A Roofing & Building Services became a limited company. 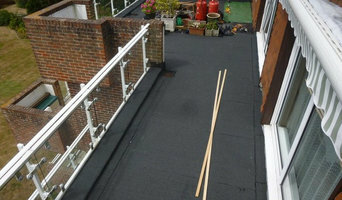 We cover a vast roofing and building service, not just in Islington but through out London. We provide a wide range of Roofing services here at Dynamic Roofing Solutions, covering Reading, Berkshire and surrounding areas. Protec Roofing are a family run business specialising in Flat Roofing refurbishment and new projects on the South Coast. Based in Southampton, we offer a solution for all flat roof applications, including Single Ply membranes, Traditional Felt, Hot Melt Systems, GRP, EPDM, Rubber systems, Liquid Resin, Warm Roofs, Green Roofs and more! We are The Fascia Division Ltd and we are expert installers of fascias, soffits and guttering in Southampton. We have been established since 1994 and specialize in full replacement installations for all types of properties, domestic and commercial. We offer FIXED QUOTATIONS We don’t use reps or high pressure selling techniques We are highly-experienced traditional craftsmen All our work is covered by our Insurance backed guarantee All our products are guaranteed Our full replacement package includes: Ventilation Gutter Guards / Leaf Guards Bird Guards Eaves Protection Up to 20 year product guarantee 10 year insurance backed guarantee All waste removed Contact us now for your FREE fixed quote. Call FREE on 0800 0327242 Tel: 02380 986848 Our quotes are hassle FREE and come with NO HIDDEN COSTS! 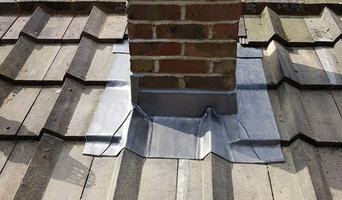 Roofing Services in Alton, Farnham, Aldershot, Farnborough and throughout the whole of Hampshire, Surrey, Sussex & London Crown Roof Care Ltd are based in Alton but cover the whole of Hampshire, Surrey, Sussex & London and offer all aspects of Roofing Repairs or Replacements to Homeowners and Commercial clients at affordable rates with a reliable service. For a free , no obligation quote, Please call us today. Why should I hire Itchen Abbas, Hampshire roofers to handle my roofing and guttering? There are a wide variety of materials available and your Itchen Abbas, Hampshire roofers can help you decide which option is best. You might look at clay, slate or concrete tiles and your choice will depend on cost, the style of your home and the local roofing style. In the North West of the UK you will see a lot more slate tiling, whilst in the South East there is an abundance of clay roofs. If you are in a conservation area you may find that your choices are more limited and you may need to look for reclaimed tiles; local Itchen Abbas, Hampshire roofing contractors will be knowledgeable in this area, so ask for their advice, too. How do I find good Itchen Abbas, Hampshire guttering specialists and roofers? Search for Itchen Abbas, Hampshire roofers and gutter cleaning specialists in the Find a Pro section of Houzz. Read their profiles, try to match their core skills with the problem in hand – some specialise in flat roof repair using roofing felt, others only work with roof tiles – and then see what previous customers have to say about their quality of service. Ask for personal recommendations from friends and family. Ideally your shortlisted roofing and gutter specialists or experts are members of the National Federation of Roofing Contractors (NFRC), the Guild of Master Craftsmen or the Federation of Master Builders (FMB). Each trade organisation demands a high level of expertise and imposes a code of conduct on its members. TrustMark is a government-endorsed scheme that independently assesses tradespeople and allows you to lodge a complaint if necessary – look out for that. Call them round for a consultation and make sure you request a written quote. Cheapest is not necessarily the best; more importantly, who can you work with? Find Itchen Abbas, Hampshire roofers and gutter cleaning professionals on Houzz. 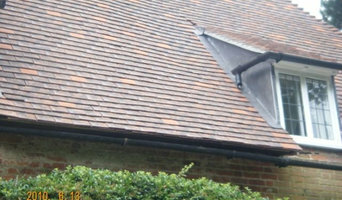 Narrow your search in the Professionals section of the website to Itchen Abbas, Hampshire roofer or gutter specialist. You can also look through Itchen Abbas, Hampshire photos by style to find a roofing project you like, then contact the specialists or roofing contractors who designed it.